How many people want to have more time to get the items off their to-do list and to fit in other fun stuff too, during the course of the day? It is one of those mysteries to many people how you can do more than others, even though you have the same amount of time to complete the tasks. The answer is simple; some people have better time management skills than others, they are more focused with the tasks in hand and are able to apply particular skills to their time management. It is very easy to go through life without having a focus in life, it can just feel like you are going through the motions and not really getting anywhere, your hopes and dreams become just a dream because you have no push to find where you actually want to end up, you have no idea how to begin. Knowing how to take back control of your time, you can then actually complete tasks which will help your day run smoother; but this will allow time for the other things that you need to do to help make your dreams become a reality. If you dream of making loads of money, you are not going to fulfil this if you find yourself in front of the telly day and night; you actually have to put plans into action and move forward with your dreams. Making feasible plans is just one step that you should focus on every day, to do this effectively you need to know how to plan. How to plan your day so that you can fit in all the activities that you need to do. You need to learn how to make your planner work for you. You might think that you can remember the items that you need to do each day. But in reality there are things you will forget and it is important that you learn to create lists that work for you, they are not all the same. I love this article describing the bullet journal system, while it works for some, others find that it is too complicated to understand. I like to have these bullet point lists in my diary and it does keep me focused as well as having portions of my day marked off to complete certain tasks. 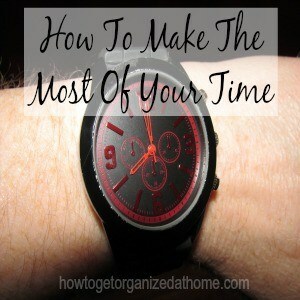 The idea is to plan your time more effectively than you might have previously considered, only then will you feel that you have used your day and your time to the fullest. You need some sort of routine to help you get those tasks you hate out-of-the-way, it can be anything from cleaning the bathroom to brushing your hair. Whatever you hate, you need to think of ways to get those tasks into your day and the best way to do this is to create routines. These are things that you do on a daily basis at a set time, like when you get up in the morning you train yourself to make the bed. It can be that simple but eventually you will string together a few of these tasks to create a routine. Don’t panic if you can’t remember them at first, they take time to learn the habit but once you become accustomed to the idea, it does become easier to do on automatic pilot. Therefore, if you are looking for ways to improve your time management skills, it might mean taking a look at what you are currently using your time for and making the necessary adjustments. A list is about the only way I function. I have to have a visual reminder of what I need to get done. I do mine on a white board in the kitchen. Thank you for visiting I love lists too! Thank you for visiting 🙂 Without list I would get nothing done!